Publicity for your business will be done using your business logo in event advertising, signage and promotional materials. ♦ Sponsorship is available for your business in a variety of capacities. In March, the Chamber along with sponsors, showcase local businesses in this huge “Lifestyle” exposition at Washington County Fair Park, Ziegler Pavilion. Showcase your business at assigned tee or green the day of the event by giving out promotional items, playing games and obtaining new connections. 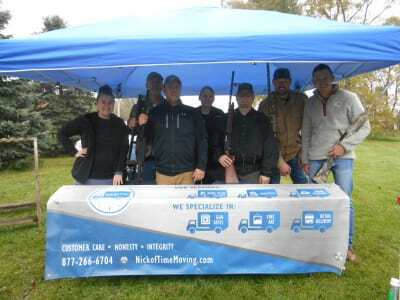 ​​In Fall the Chamber hosts the Annual Sporting Clay Shoot at The Highlands Sportmen's Club in Cascade, WI. Chamber members and the public are welcomed to join us. Contact Jill@wbachamber.org or call 262-338-2666 for more information.